Most of the utensils in your kitchen are standard tools used in kitchens around the world. Everyone who cooks generally has a frying pan, a pot, knives, vegetable peeler, and the like. To cook Spanish food, generally one does not need special cooking equipment; however, there are a few unusual utensils to put on your wish list that will make creating authentic dishes easier, and, well, more authentic. Most of the items can be found through an internet supplier of Spanish food, at your local ethnic grocery store, and some at your local department store and online box store. And, of course, don't forget to have a quality wine opener on hand for that great bottle of Spanish wine! In Spanish cuisine, ceramic and clay pots—called cazuelas—are used for cooking and serving several different types of meals, from tapas to stews to rice dishes. But even if you aren't making Spanish recipes on a regular basis, traditional clay dishes are a nice addition to any kitchen. Look for good quality dishes that can be used indoors and out—on a gas stove, in the oven, or on the grill. Clay dishes are available with lids (great for keeping food warm) or without in a large range of sizes from 3 to 4 inches across (often used for tapa rations) to 10 to 12 inches across, which are commonly used for cocidos (stews), and other sized and shaped pots for oven-baked casserole dishes. The truly authentic are made of terra cotta, and most are glazed giving the red/brown earthenware a shiny coating. Cazuelas retain heat well and will keep your Spanish dish hot as you serve at the table. Originating in Valencia, Spain, this saffron-flavored rice dish has many different variations. But one thing that remains constant from recipe to recipe is the style of pan in which it is cooked. For cooking paella outside on a barbecue or over open flames, a carbon steel paella pan is the best; but enameled pans are economical and function just fine, especially when cooking on the stove. Paella pans come in a huge variety of sizes but are always shallow in depth and round in shape; the angled sides allow for quicker cooking as the design encourages the liquid to evaporate, and the handles make it easy to move from stovetop to table. Paella spoons are long-handled spoons usually made of stainless steel with wooden ends. They are used to stir the paella but keep hands and arms away from the heat and flames. The spoon shaft ranges from 20 to 30 inches long and the bowl is wide and flat. The spoons with shorter shafts are best for indoor cooking and can be used for both stirring and serving. If you plan on making paella the truly authentic way—outside, over an open fire—then you will need a paella tripod. This forged steel stand allows you to place the paella pan over the flames without having to use any type of cooking grate. It is also handy for serving the paella at the dinner table or on a buffet. Any fan of flan, the Spanish egg custard dessert with caramel sauce, should own a set of ramekins. Ramekins are oven-safe round dishes with high sides and come in several sizes, but they are usually small (3 to 4 inches across), made of porcelain, and are perfect for making single servings of a variety of Spanish custards and desserts. They are also handy for serving nuts and small tapas. Chances are you already have one of these in your utensil holder, but because many tapas and other dishes in the Spanish kitchen are fried, having at least one good slotted spatula is important. If you tend to use non-stick pans, make sure the spatula is safe to use on a non-stick surface. And although it sounds like it is made for using just with fish, a fish spatula is actually a great all-purpose tool as it makes flipping and removing food from the pan a cinch, necessary when frying. This nifty invention might seem like something that went out of style in the 1960s, but it is still going strong in Spain. 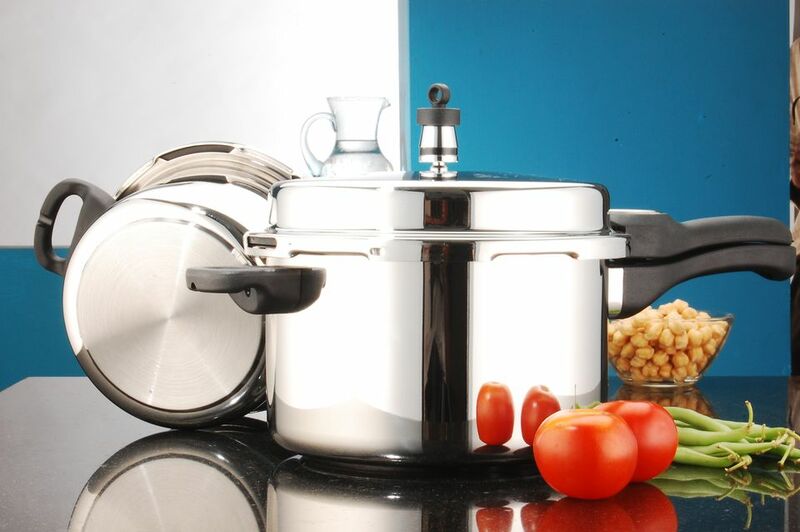 Modern pressure cookers are safe and speed up the cooking process of rice and stews. The typical Spanish cook still uses a pressure cooker to make many traditional Spanish dishes in a fraction of the time it took their abuela.